This report was sent from Father Sean Carroll of the Kino Border Initiative, located in Nogales. It is reposted here with permission. The listero who sent it my way said that Father Sean is contacting many clergy and media with this message. On Wednesday, June 11, 2014, I accompanied a group of representatives from the Santa Cruz County Sheriff’s Office, Congressman Raúl Grijalva’s Office, Senator Dianne Feinstein’s Office and the Santa Cruz Count Board of Supervisors. · The Office of Refugee Resettlement has been overwhelmed by the number of migrant children crossing into South Texas from Mexico, and has not had adequate space to receive and process so many young people. · The decision was made to transport children by plane to Tucson International Airport and then taken by bus to the U.S. Border Patrol Station in Nogales, AZ. · Food is being provided three times a day with snacks in between. A dining hall has been set up where the children can eat. · The children range in age from three to seventeen. · They can offer showers to sixty children at one time. · A play area is being set up in the parking lot for the children. · Public health services are available, which include a health screening, vaccinations and blood tests. · The plan is to have the children for seventy-two hours and then be transferred to another facility. If they are over twelve, it will be to a military base. If they are under twelve, it will be to a facility run by the Office of Refugee Resettlement. · The consuls from the respective countries have access. Most of the children are from Honduras and El Salvador. · At the moment, they have 1,100 children. Seventy-eight children were transferred yesterday. · The children currently sleep on plastic cots, but 2,000 correctional mattresses have been ordered and will be delivered today or tomorrow. 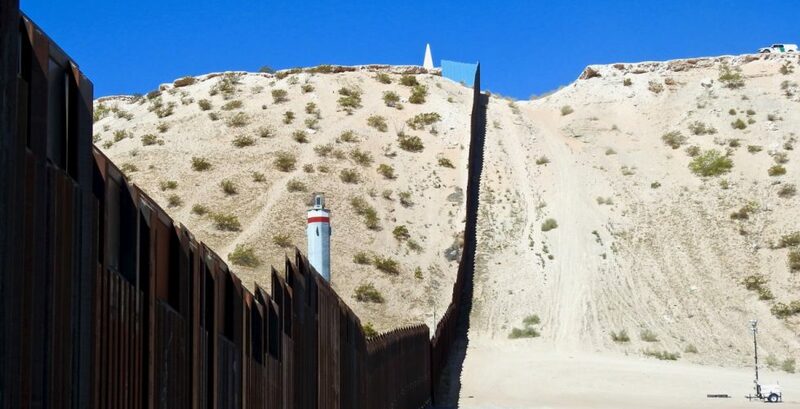 · 140 Border Patrol Agents have come to assist. · The United States Public Health Service is available to provide counseling to the children. · Customs and Border Protection Chaplains are coming to accompany the children. They do not appear to want pastoral assistance from the local Nogales community. · Televisions are being set up, which will be used to show the “What to Expect” video and to explain their rights. They will be able to use the televisions for recreational purposes as well. · No plan exists at the moment to engage the local community in providing assistance to the children, though we were told that the plan would be forthcoming. It is likely that the Red Cross will play a role. We then walked over to the area where the children are staying. It is a very large warehouse building and part of it is used for the children. In the parking lot, two tents have been set up where the play/recreational area will be located. One large truck was outside the warehouse, which was being used to wash clothing. At least one truck was there containing showers and there were two trucks with toilets and sinks (we could not go inside to see for ourselves). However, sometime after we entered the warehouse, a group of young girls were escorted in from outside, and it was clear that they had bathed. The inside of the warehouse had an adequately cool temperature. To the left as we entered was the area that had been set up for vaccinations and other health services. There were a line of refrigerators and freezers, presumably for vaccines and other supplies. An area nearby had also been designated to keep the children’s belongings in large plastic bags. Also, a number of phones were visible and were being used. They were available so the children can speak to consular officials and to their families. We arrived at lunchtime, so groups of 200 children at a time walked in a single line to receive their food and then to eat in the designated area. Physically, most looked like they were in good condition, adequately clothed and were having their basic needs met. At the same time, we were not allowed to speak with them, so it was difficult to assess how they were doing psychologically and spiritually. The next step is to keep communicating with FEMA (the Federal Emergency Management Agency) to develop and implement a plan that clarifies the children’s needs and provides people the opportunity to respond to them. Once we have some direction, then we will make that information available on our web site and on our Facebook page. We will send out an e-mail blast as well. I know this report does not answer all the questions, but hopefully it gives a clearer sense of the overall condition of the children and of the place where they are staying at the moment. Thanks so much for all your generous offers of support. We are so grateful. The cases detailed in this ACLU complaint predate the current wave of child migrants and their detention. So far, there has been little access to the hundreds of minors now being detained in Nogales, Arizona and at other facilities in Texas and California. Attached is a letter to the White House from Arizona Congressman Raul Grijalva. I visited the site of the warehousing of the children in Nogales today… There were some media there hoping for a photo or a press conference, but no one is being allowed in. What I was able to see is essentially the same as the report from CNN. A gate, a lot of trucks going in an out, a large warehouse-type facility within the perimeter of the Border Patrol station. I did not see any “FEMA trailers left over from Katrina” anywhere and suspect that is a right-wing rumor based on the hysterical reporting from the sites mentioned below… I’ve seen lots of those trailers dumped on roadsides in Louisiana. I seriously doubt that any of them would be worth moving to Arizona. There is a lot of warehouse space in Nogales, Arizona, so I imagine if the government needs more, they could find it. Making it liveable for the people being housed there might take some time. And for what it’s worth, to the best of my knowledge, unaccompanied minors have never been quickly deported from the US. The law requires that they be treated as refugees, that they be reunited with parents if parents can be located. The large numbers of people coming now will take some time to process. 1) Fr. Sean Carroll, executive director of Kino Border Initiative, a key organization in humanitarian efforts at the border, was refused access to the warehouse facility in Nogales, AZ. on Thursday, Friday, and throughout the weekend. He contacted Border Patrol officials, FEMA, and others about what KBI and other humanitarian groups can do to alleviate the situation. No response. 2) Today, Monday, he made contact with Rev. David Meyers of FEMA and a conference call has been set up for Tuesday, June 10, to set up a protocol for providing aid to the children. 3) Journalists have not been allowed into the building (a warehouse), but have seen children from ages 1-18 coming out of the compound after meals. Older children have younger toddlers and a few infants in tow. 4) The Samaritans and other groups are gathering clothes, toys, games, for the kids. 5) The State agencies are being told that this is a federal matter, and so they are also not being allowed into the warehouse to see what is going on. Exception: a few State legislators did see where the children eat, but not where they sleep. One said it is a “sad situation.” FEMA, HHS and Homeland Security are the chief players in this drama. 6) I will be in Nogales, Sonora, tomorrow working at el comedor, the shelter for recently deported migrants. I plan to drive over to the warehouse in Arizona and see for myself what is going on. Of course, I don’t expect to be allowed in, but I want to check it out. 7) June 10 there will be the monthly vigil for Jose Antonio Elena Rodriguez, the 17 year old that was shot and killed by Border Patrol in 2012. A lot of Americans will be there to memorialize this young man as well as protest present US immigration policies. 8) No one seems to know what the plan is for these children. There are attempts to reunite them with families here in the US and back in their home country. The general consensus is that this situation is not going to go away. More children and women will be arriving in large numbers. As for the reasons these folks are coming in such numbers, I believe that we cannot discount fact that people talk to each other along the route and these communications (true and otherwise) have some influence on the decisions people make. As far as the dangers they face traveling through Mexico, there is ample evidence that many migrants are killed or go missing along the way. There is no safe route (other than in a commercial flight which poor people cannot afford) across Mexico for these people, yet we know that in recent years more and more have attempted the journey despite the dangers. UPDATE (June 8): Apparently, there are at least 270–not 130–immigrants who have been flown to El Paso from the Rio Grande Valley. The situation is changing rapidly and according to a media person who wrote to me personally, the CBP officials are not giving many statements to reporters, but there should be updates tomorrow. A group of Arivaca residents are not giving up on their efforts to have a Border Patrol checkpoint removed from their community. The ACLU is ready to sue if the agency does not allow residents to exercise their First Amendment rights, said James Lyall, the organization’s attorney in Tucson. Since Feb. 26, groups of at least three people have showed up to the checkpoint 25 miles north of the border with a sign that reads: “checkpoint monitoring to deter abuse and gather data” and a video camera. But the residents said agents immediately harassed them and ordered them to stand far from the checkpoint, where they can’t see or hear anything. Placed “no pedestrian” signs, barriers and rope blocking the public right of way. Parked their vehicles to further obstruct view of the photographers and protesters. On one occasion, left a Border Patrol vehicle running for several hours, blowing exhaust in the faces of the monitors. The process used by the agency to handle complaints works well, he said. Residents say the checkpoint is a source of rights violations, racial profiling, harassment, unwarranted searches and economic deterioration. People have to go through the checkpoint when they go shopping, have a doctor’s appointment or take their children to school, said Patricia Miller, who has lived in the Arivaca area for 36 years and volunteers to monitor the checkpoint. Last year, the Arivaca group of residents launched a campaign to demand the removal of the Arivaca Road checkpoint — one of three Border Patrol checkpoints that surround the town. The petition was signed by over 200 people and 10 businesses, about a third of the population. U.S. Rep. Raúl Grijalva also wrote a letter of support. Padilla responded by saying the agency could not remove the checkpoint because it was a lawful and effective tool to secure the border, but he encouraged them to bring to his attention any specific incidents regarding local residents and the checkpoint. In January, the ACLU of Arizona also filed an administrative complaint with the Department of Homeland Security regarding alleged abuses at six Southern Arizona checkpoints, including the checkpoint on Arivaca Road. Lyall said the ACLU got a response saying the claims were being investigated. It did not include a timeline. “Until we actually see some results or actions, we remain very concerned that there are effectively no real accountability mechanisms in place,” he said. Residents plan to keep monitoring the checkpoint in four-hour shifts.